If we learned anything when Omar Epps let Tupac fall from from a Harlem rooftop, it's that the soundtrack was the best thing about that movie. Oh, and also, people will go to great lengths for some juice. 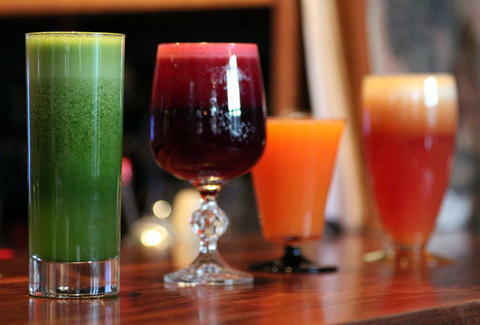 But luckily, you only have to go as far as Cap Hill's La Bete, as that's where artisanal beverage slingers Juice Box have set up a semi-permanent pop-up so they can ply you with fresh and, more importantly, boozed-up juices four days a week. Thursday and Friday mornings while the restaurant is closed, JB's offering fruity options like the ABCT, which, in addition to an imperfect understanding of the alphabet, features apples, beets, carrots & turmeric root. But when the weekend comes, Bobby Womack has his most memorable song, and you've got a chance to try Bloody Marys w/ fresh squeezed tomato juice, or a handful of mimosas (apple grapefruit, carrot orange) with La Bete's brunch service. If that sounds too complicated, you... probably didn't read this far, but could just ask for one of their bottled-pressed juices to go, or go online for a cleanse program designed for people who'll go to great lengths to avoid being great widths.